We have all been there – we have found the perfect flash animation on a website we use in our schemes of work, but when we go back to it the site is no longer available or we can’t remember the URL! 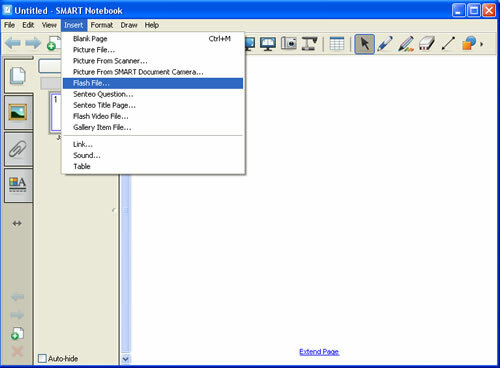 Don’t panic, whilst you need to be aware of any copyright restrictions, it is possible to capture flash animations from the web which can then be imported directly into SMART notebook and used as part of lesson. Whilst animated clipart which are actually .gifs are quite easy to save, in order to capture a flash animation .swf file we need to use a piece of software. There are a number of free as well as commercial resources which will help you with this. 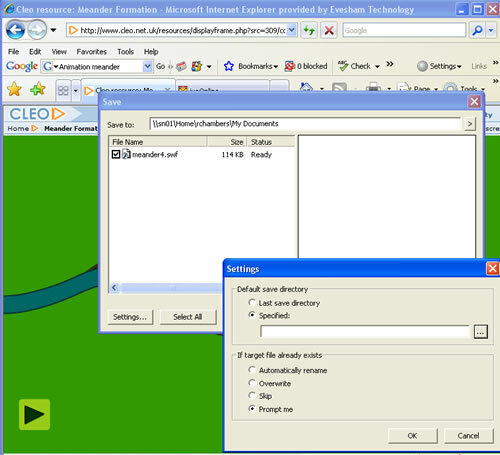 The Sothink SWF catcher is a free option which is available to download for both Internet Explorer and Firefox. 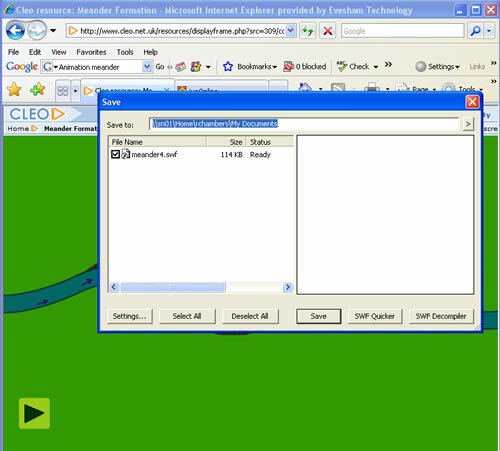 Another option which I have found successful in the past is Flash Saving Plugin which is freeware for use with Internet Explorer. 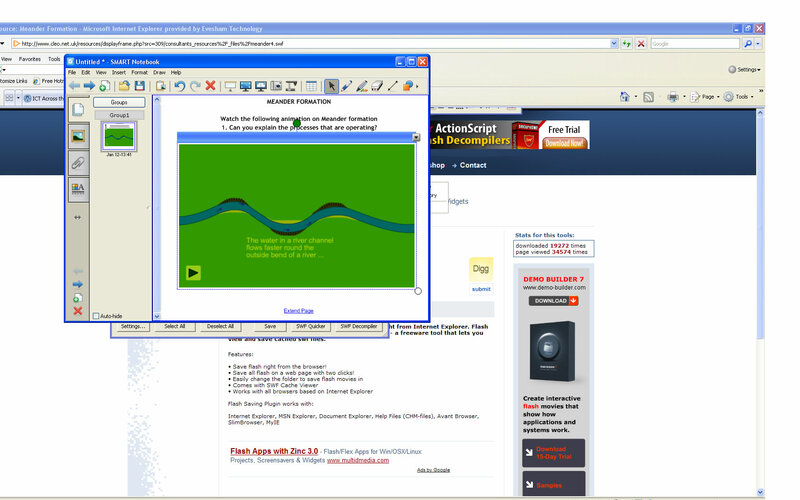 Below is a simple tutorial for downloading a flash file using the Sothink SWF Catcher for Internet Explorer. 1. Firstly download the software to your computer. 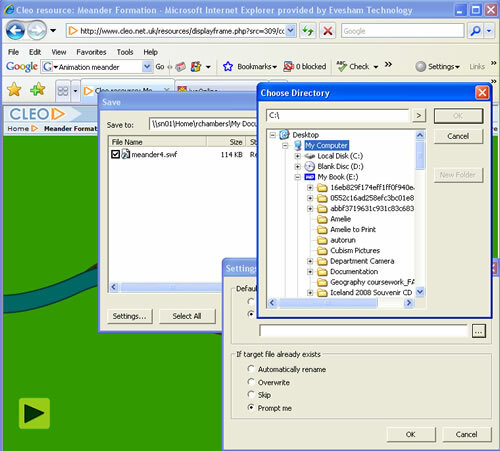 You will then need to extract the files and select the option to run the programme. 2. If you have your Internet Explorer browser open you will then need to close it and re-open it. You will not see any difference when you re-open apart from the fact you now have a new option under “Tools” on the browser bar. 5. You now need to choose the directory and folder in which you want to store your downloaded animation, this is important so that you know where to look for the file once it has been saved! 6. Finally click “Save” and the animation will be saved to the folder you indicated in the Settings profile. 9. Finally navigate to the directory / folder where your animation is stored and click ok – your animation will now appear in your notebook – you can now add text around it / change background / add other resources (e.g. 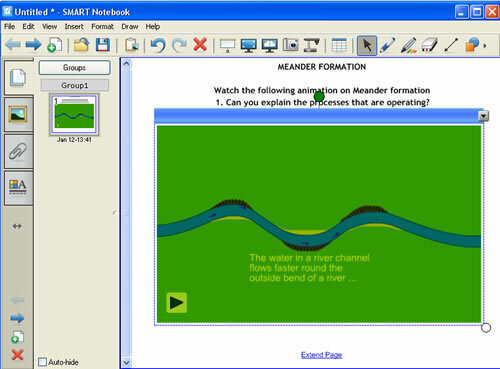 with the chosen animation of meander formation, I might also add in a photograph of a meander and a video clip by the side to help students visualise the development of the landform and enabling them to then come up and write labels on to explain the formation.